This is the largest pocket blanket I have reviewed and a good one due to its high portability factor and excellent fabric. Even though GRESAHOM Pocket Blanket brand is lesser-known, they have certainly made a product worth purchasing because of its value for money and overall great satisfaction. Check out the features in details to know exactly what you get. There are different types of camping such as adventure camping, dry camping, bicycle camping, canoe camping etc. The way each camping is done differs, but the things you carry don’t change much. You need to build a space of yours for the time you spend there. Among the things you carry, blanket is a must because it helps you from insects, worms and typical climatic conditions in the place where you go. Keeping space constraint in mind, you need a blanket which helps you to prevent from windy days and it shouldn’t take much space in your bag. GresaHom resolved your problem by manufacturing GresaHom Pocket Blanket. It works more like your conventional blanket but the benefit lies in its size. The size of this folded blanket is equal to the size of your smart phone. So wherever you go, it can be easily carried. The company states that their product is portable and extremely easy to carry around. 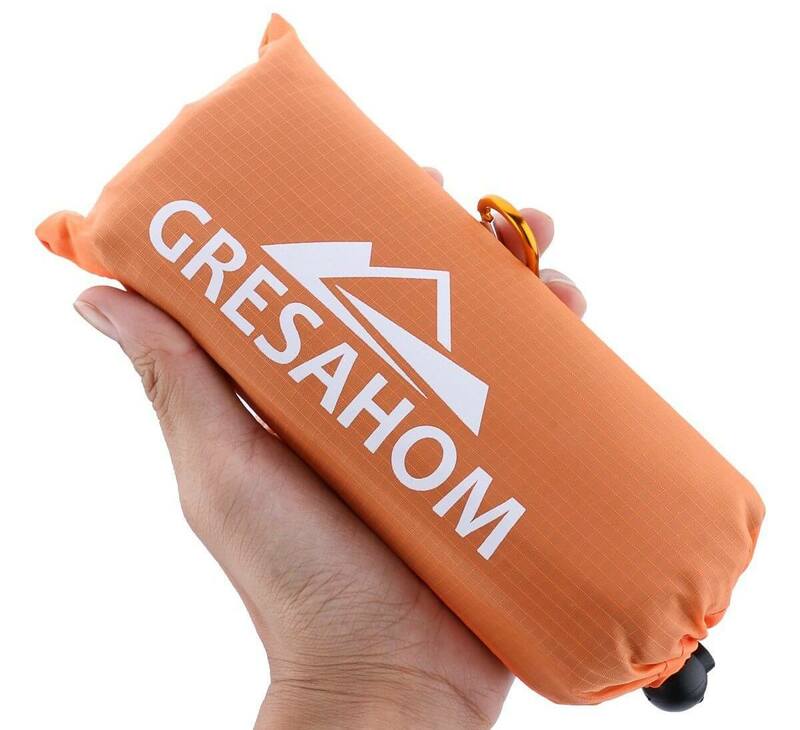 Size: The significance of GresaHom Pocket Blanket lies more in its size. The name pocket blanket reveals its size. It comes with a pouch. When folded, the size of this product is just 4" x 6" which states that this product is very easy to carry. When unfolded, this product comes to a size of 71" x 55" (180 cm x 140 cm), which allows 2 to 4 people to sit and relax. The dimensions of this product are 1.5" x 3.5" x 7.6" inches. This product is familiar to all the people who love travelling a lot. The size of this product goes up to 0.66 pounds, which is a good sign that customers can easily carry with them. Material: Ripstop Nylon is a material which is mainly responsible for a product’s durability. The GresaHom Pocket Blanket is made up of 100% pure Ripstop Nylon. The company states that the customers of their product also face sand free experience because of the ingredient present in it. Durability: The GresaHom Pocket Blanket comes with a feature “Puncture - resistant” which means that this product is free from punctures. You can happily spread the blanket on floor with rocks and sand and can happily relax. This product is water proof, which means that you can happily spread the blanket on wet surfaces like grass. You no need to worry that water might reach your dress through blanket. The company states that their product is also sand free which means that the product doesn’t absorb small particles of sand. The company also states that because of the key ingredient used in the manufacturing of this product helps it to become sand free. Versatility: The GresaHom Pocket Blanket is familiar to people who travel a lot. It gained that kind of significance mainly because of this product’s versatility. When you are for outdoor camping, this can be used as a blanket which protects you from windy days. When you are in a beach, you can use this product as a beach mat. If it is raining, use this product as a cover which protects you from getting wet. You can also use this as a mat to sit, relax and prepare food. When you are eating something, use this as a table mat. By looking at the benefits, you can understand that this product reached maximum level in versatility. If there is a strong wind, you might get worried that the blanket might blow away. But nothing will happen like that because this product comes with a 4-corner pocket and loops. You can just fill the pockets by placing sand. You can also nail 4 stakes, which comes with this product, into the corner loops to prevent blanket from blowing away. This product is one of our top five camping blankets for a good reason. It has over 70 customer reviews on Amazon.com and an average rating of 4.5/5 stars, which is more than good if you judge it. Lots of users have praised this travel blanket for its multifaceted use and would be more than happy to refer it to a friend. Sure, the folded size of this blanket may be a bit bigger than the rest in this review, but you have to expect that because this travel blanket is overall larger in size. If you’ve got the space to spare inside of the backpack, go ahead and buy it. Busy People – Busy Lives – Busy Schedules. Didn’t get enough free time to go for a vacation? Have you ever thought of a break in a place full of trees, mountains, lakes, forests? It would be fantastic, right? It is never too late to take a break in the wilderness. Make some free time and go camping with your loved ones and breathe fresh air, gain positive vibrations and much more. The GresaHom Pocket Blanket is a fabulous product with loaded benefits. 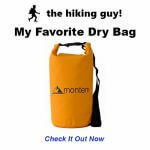 It is water-proof, sand free, puncture resistant and easy to handle. The company states that this product is easily washable through machine. And, warns the customers not to iron and bleach. So, after looking at its features and benefits, I would highly recommend this product to anyone.